After months of considering whether a Batman-Superman movie could possibly be any more black, and determining that the answer is yes, dawn has finally broken—the Dawn Of Justice, that is. Director Zack Snyder has revealed that his upcoming Man Of Steel sequel will skip any association with that completely and be titled Batman V. Superman: Dawn Of Justice, presumably in reference to the civil suit that Ben Affleck’s Bruce Wayne will bring against Henry Cavill’s Superman, on behalf of all those people who were crushed under falling buildings the last time Superman did anything. Fortunately, it appears their case will be tried in the morning, when the courts are especially justice-y—not in night court, when things only tend to get wackier and wackier. Certain word sleuths may also note a reference to the Justice League, whose origins will likely be explored here. (Perhaps the group is formed as part of a court order, demanding that Batman and Superman have at least four to five other superheroes between them at all times for chaperoning purposes.) “Dawn” is also the name of a dishwashing liquid (like they’re cleaning up the city! ), and it’s a homophone for the name “Don”—as in, for example, Don Draper or Don Johnson—all of which should provide you with enough Photoshop material to keep you busy for the two years until the movie’s release. 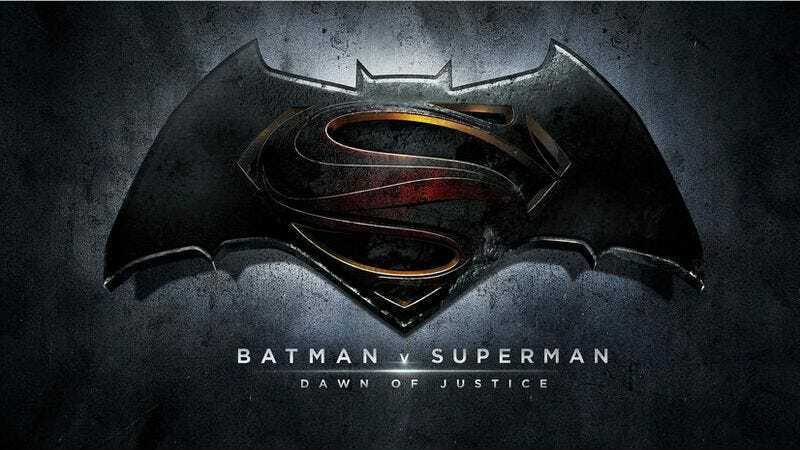 As of press time, it was also mildly amusing that Dawn Of Justice sort of sounds like Dong Of Justice.